Kate I use this every night to remove my makeup, and it's great. No need for separate eye makeup remover; this stuff does it all! 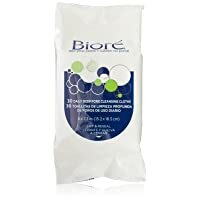 Biore makeup removing towelettes for easy removal of makeup. Made from 100% renewable resources.